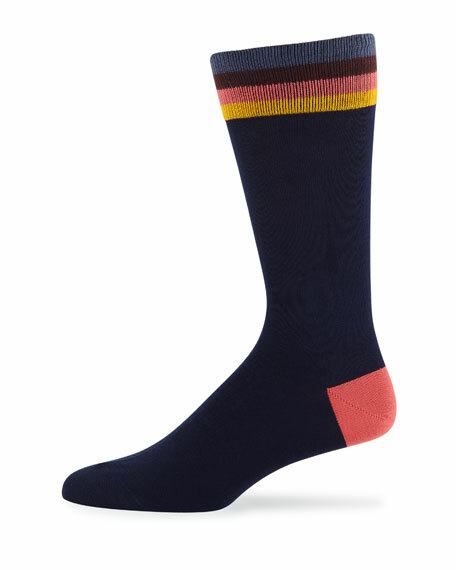 Paul Smith socks featuring artist striped motif. Ribbed, striped cuffs prevent slipping. One size fits most (up to men's size 12). For in-store inquiries, use sku #2651767. 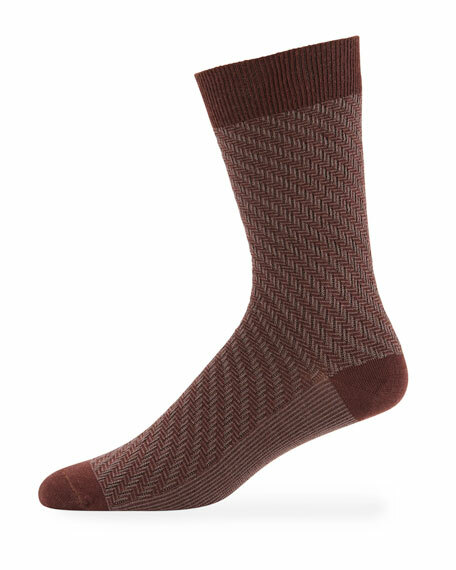 Falke "Airport" knit socks in fine silky-mesh structure. Ribbed cuffs to prevent slipping. Reinforced heel and toe. Hand-lined toe for maximum comfort. Longer comfort top. Wool/cotton/nylon/spandex. Machine wash. Imported. Paul Smith pack of three stretch trunks. Low rise. Signature logo waistband. Flat-lock stitching. Cotton/spandex. Imported. 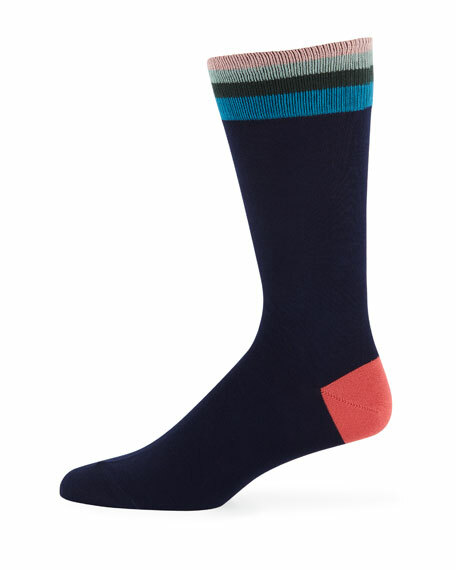 Paul Smith socks in electric zag graphic detail. Ribbed cuffs prevent slipping. Reinforced toe and heel. One size fits most. Soft cotton/nylon/spandex knitted. Made in United Kingdom.